Mitochondria are cellular organelles that are well known as the powerhouses of the cell. Mitochondrial functions decline with increasing age. This leads to the damage of tissues that are characterized by high energy consumption, such as muscles or the brain. The group of Prof. Dr. Langer studies cellular mechanisms which conduct the functional surveillance of mitochondria during aging. 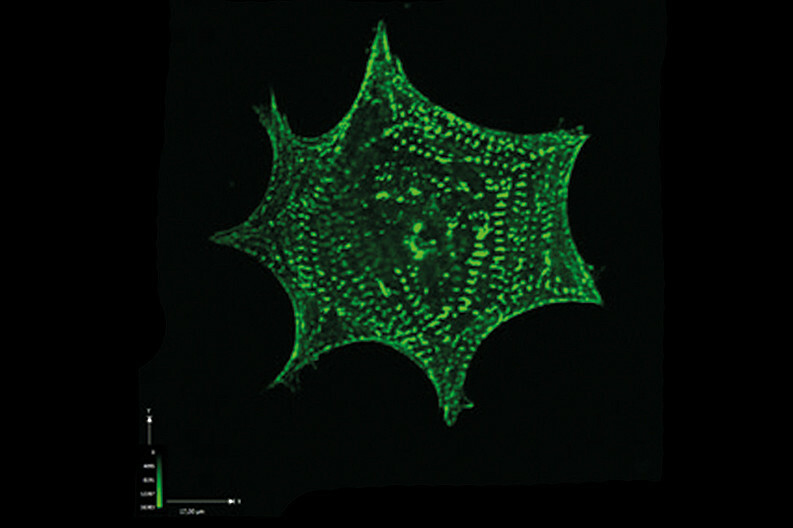 The focus of research is on mitochondrial proteases which serve dual functions: as quality control enzymes, they degrade damaged proteins and prevent their possibly deleterious accumulation within mitochondria; as regulatory enzymes, they degrade or cleave key regulatory proteins affecting diverse mitochondrial activities. 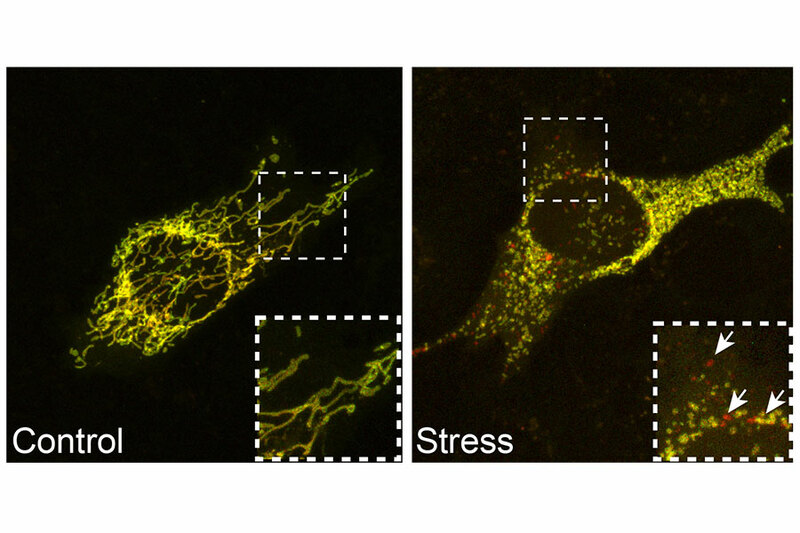 The group discovered that various stress conditions lead to the activation of a protease that induces the fragmentation of mitochondria facilitating cell and tissue damage. Inhibition of this pathway prevents dysfunctions of the heart under stress and delays neurodegeneration. The work of the group of Prof. Langer now aims to explore the relevance of this stress-induced pathway for the onset of a broad spectrum of age-associated disorders. Our research: Prof. Langer’s team studies the role of mitochondrial proteases for the maintenance of mitochondrial activities. These proteases conduct the surveillance of the mitochondrial proteome and degrade misfolded and damaged proteins to prevent their possibly deleterious accumulation within the organelle. Moreover, they maintain the functional integrity of mitochondria by degrading or processing key regulatory proteins that control diverse steps during mitochondrial biogenesis and dynamics. Mutations in several of these proteases cause diverse neurodegenerative disorders and are associated with cardiomyopathies. The work of Prof. Langer and his team aims at understanding the molecular mechanism underlying the pathogenesis of these diseases. Our successes: Prof. Langer’s team succeeded recently to identify key roles of mitochondrial proteases for the regulation of the dynamic behavior of mitochondria under stress and for the control of the phospholipid composition of mitochondrial membranes. Mitochondria form dynamic networks that are maintained by balanced fusion and fission events. Stress conditions lead to the activation of the protease OMA1, which selectively cleaves and inactivates the dynamin-like GTPase OPA1 mediating mitochondrial fusion. 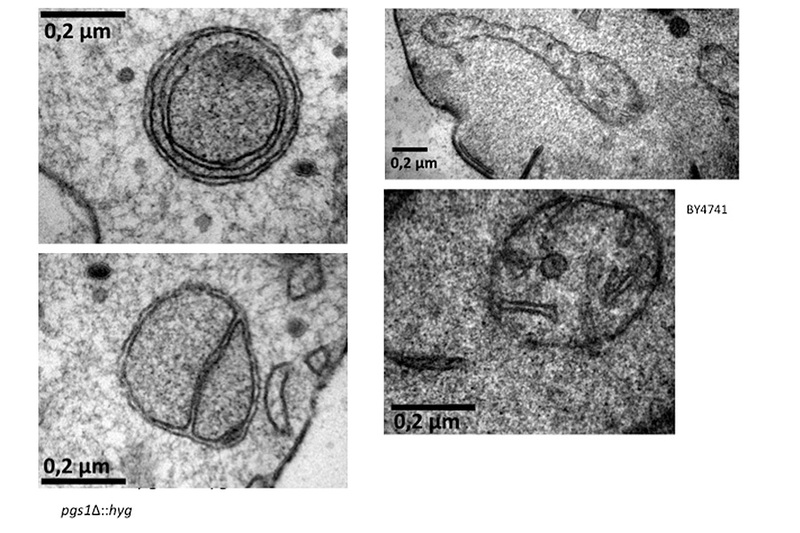 Ongoing membrane fission triggers fragmentation of the mitochondrial network, which facilitates the autophagic removal of damaged mitochondria and cell death. The group of Prof. Langer could demonstrate that inhibition of this pathway prevents stress-induced cardiomyopathies and delays the onset of neurodegenerative disorders. In another research line, the work of Prof. Langer´s team identified a crucial role of mitochondrial proteases for the synthesis of cardiolipin, a mitochondria-specific phospholipid, which is essential for the function of mitochondria. Oxidation of cardiolipin is associated with the decline of mitochondrial activities during aging. 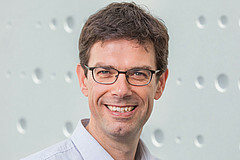 The group of Prof. Langer could demonstrate that disease mutations leading to cardiomyopathies are caused by disturbances in the cardiolipin metabolism in mitochondria. Our goals: Prof. Langer’s team aims at a detailed molecular understanding as to how mitochondrial proteases contribute to the maintenance of mitochondrial functions in health and disease. This will enable the group to define the cellular mechanisms underlying the decline of mitochondrial activities during aging and the pathogenesis of age-associated diseases that are linked to a dysfunction of mitochondria. Understanding how cells counteract mitochondrial dysfunction and damage accumulation also holds the promise to open up new therapeutic interventions delaying or preventing the onset of disease. Our methods/techniques: The group uses a broad spectrum of cell biological, biochemical and genetic approaches to define the proteolytic control of mitochondrial function at a molecular level. Studies include state-of-the-art proteomic, lipidomic and imaging approaches. The combination of mouse models with experiments in simple eukaryotic model organisms allows unraveling the molecular mechanisms of cellular processes and examining their physiological relevance in the pathological context of cardiomyopathies and neurodegenerative disorders. Figure 1: Mitophagy is a mitochondrial quality control mechanism whereby cells eliminate damaged mitochondria from the mitochondrial network in order to maintain healthy mitochondrial activity. 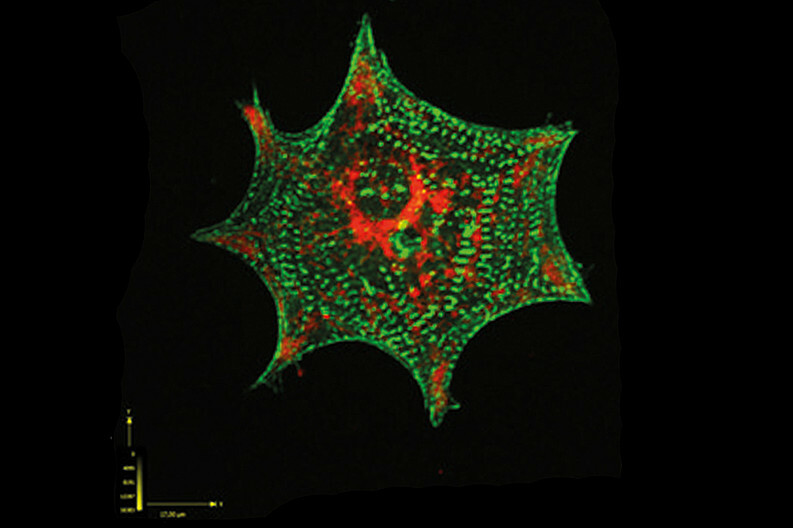 These MEF cells are expressing a fluorescent construct that allows us to quantitatively measure mitophagy. Upon mitochondrial stress (right panel), the mitochondrial network has fragmented and some mitochondria appear as red only structures (arrows). These red mitochondria have been delivered to the cell’s waste bins, known as lysosomes, by the mitophagy machinery and are in the process of being degraded. Figure 2: TEM microscopy of mitochondria of S.cerevisiae.